What’s the right training routine? You hear so many different opinions. 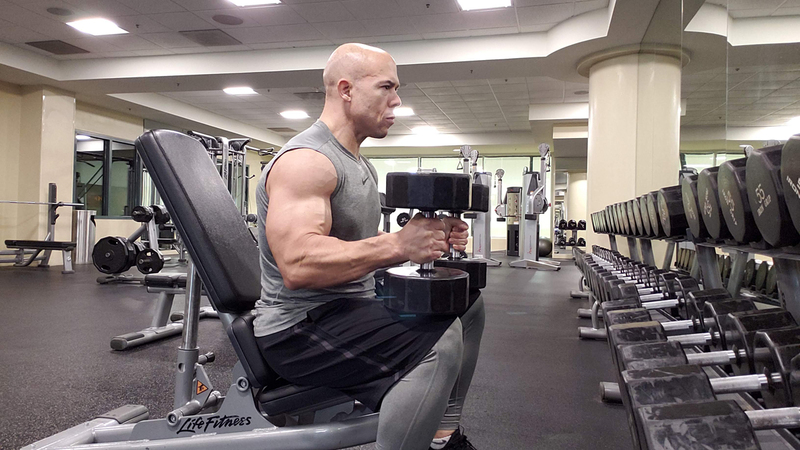 What’s the best training routine for YOU? What workout is going to help YOU reach your fitness goals? There are so many fitness experts offering so many different opinions. In today’s show, I tell you how to end all of the confusion and overwhelm. 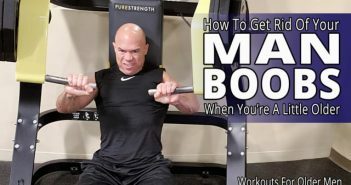 I tell you how to get on track and figure out which training routine is best for you. 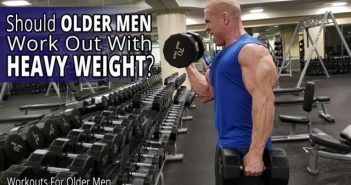 In this video, I’ll help you finally find the right training, workout, and style for you if you’re an older man with a busy, productive life. You’ll be well on your way to finding the right training routine. If you’ve been watching my videos and reading my blog posts for awhile, I want to welcome you once again. I want to welcome you into our special group of men who are a little older and want to take their fitness to higher levels. Whether this is the first time in your life you’ve been this committed to your health or you were when you were younger, it doesn’t matter. I’m glad we’ve made this connection. I look forward to helping you more. This is what I’m hearing from men just like you again and again. I wonder if this is your experience too. ✔️ You like the fact that I’m older like you are. You like getting your fitness information from a man your age with a busy life, just like you. You can relate to me so much more than the much younger fitness experts. ✔️ You like my no B.S. style of explaining things. You appreciate that I don’t make things overly complicated and don’t use unnecessary “technical” words when I teach you what you need to learn in my videos. ✔️ You’re impressed by what I look like at my age. Thank you very much for the compliments about the way I look at 56 years old. You appreciate what it must have taken me to become a champion drug-free bodybuilder, but I’ve given you some hope that YOU too can be better even though you’re a little older. ✔️ You get the sense that I understand you. I understand what you’re going through at this stage of your life. That’s because I’m going through much of what you’re going through in my life too. 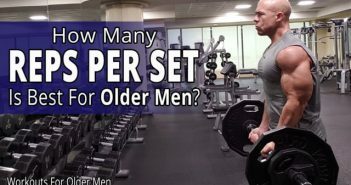 That’s something that the younger fitness guys simply won’t understand until they lived as much of life as we have. We can’t sustain their extreme habits. We can’t train like they can. ✔️ You like how I respect your life and goals outside of the gym too. You appreciate that I’m just as concerned about your overall quality of life and happiness as your physical body. I have over 36 years of total immersion into personal development and understanding why we as people do the things we do. I’d be falling short if I didn’t incorporate this important aspect of the process. I currently have hundreds and hundreds of men go through the process of getting to know me like you’re doing now in just the last few months. They’ve filled out the questionnaires. We’ve even talked on the phone. Many of them took immediate action. The men who were totally committed signed up for private, one-on-one coaching sessions with me. Some men signed up after knowing me for a few months. Some did it for 12 weeks. Some, for three or four sessions. Everyone has their process. I have packages for everyone’s needs and budgets. If you’re committed to taking charge of your health and fitness and don’t want to put it off any longer, I want to make it easier for you to get the information you need. To learn more about Skip La Cour, go here.